We believe that all emergency service personnel should have the best equipment and training for every eventuality. Stopping life-threatening bleeding is recognized as the most urgent need for emergency service personnel responding to trauma. Severe blood loss makes it worse by causing clotting deficiency (ATC) and some patients will be on undisclosed anti-coagulant medication. There may also be multiple patients to assess and treat at one incident, adding to the urgency. Our Celox treatments for life-threatening bleeding are used by the most exacting military and civilian medical services. 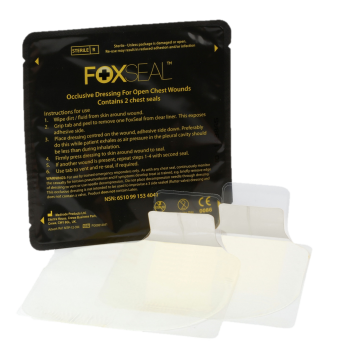 We also commit to providing high quality training material including courses, wound packing models and video training so that you can be absolutely ready at all times. Celox™ Haemostatic Granules can stop life threatening bleeding fast.